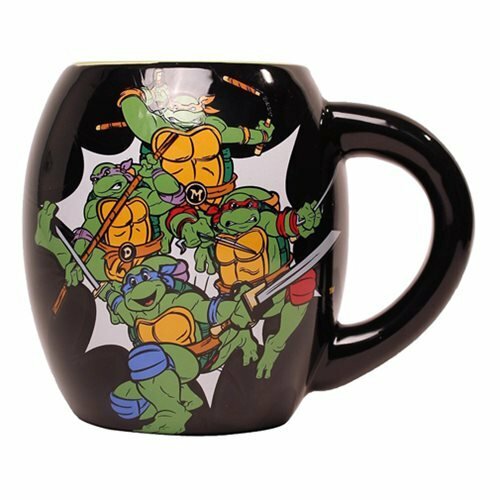 All four Turtles - Leonardo, Michelangelo, Rafael, and Donatello - appear on this black with green interior Teenage Mutant Ninja Turtles Black 18 oz. Ceramic Oval Mug. Dishwasher and microwave safe. Measures approximately 4 1/2-inches tall. Ages 14 and up.